Phoenix Police Detective Sean Richardson has a problem: his short-staffed police force is investigating an apparently random series of murders that are somehow connected to the abduction of a prominent attorney. And Beverly Thompson has a problem of her own: she is the victim of the kidnapping – the target of a vicious stranger who guns down her husband, holds her captive and brutalizes and rapes her repeatedly to satisfy a long-held grudge she doesn’t begin to understand. To rescue Thompson and solve the slayings, Richardson is forced to dig back seventeen years in the past. And to stay alive long enough to be rescued, Thompson has to outsmart her kidnapper and win his sympathy. 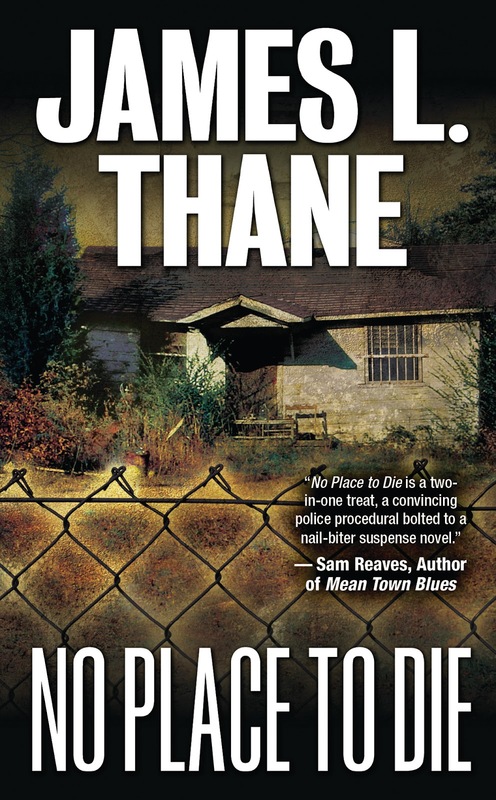 This is the situation Richardson and Thompson are confronted with in James L. Thane’s 2010 classic police procedural, No Place to Die. The book unfolds in an unusual but effective manner, with chapters in the first person told from the perspective of Detective Richardson, alternating with chapters in an omniscient third-person from the point of view of Thompson or her kidnapper, ex-convict Carl McClain. To explain the plot more completely would require a series of spoilers, form Thane has crafted a nice Chinese puzzle box of mysteries that carries the reader neatly through the first half of the book. After the crucial fact of McClain’s identity and his connection to the people he has killed or abducted is made clear, the novel’s suspense is nicely maintained by Richardson’s feverish attempt to track down the missing Thompson before she ends up joining McClain’s body count. I had never heard of the novel or Thane before he added me to his Twitter feed last month. Finding out about him and his book may have been the first real advantage I've gained from Twitter! 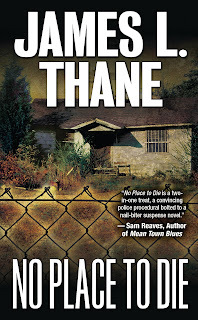 No Place to Die is a first-rate thriller that passes the real acid test of crime fiction: I read it straight through in two sittings, and hated having to break off in the middle. Thane’s page-turner doesn’t succeed solely on the basis of pacing and plot: he also has created three compelling characters – Thompson, Richardson and McClain – with enough personality and complexity to keep readers thoroughly involved in his story. Richardson’s detective work, for example, occurs while he mourns for his barely living wife, an accident victim who is wasting away, comatose, in a convalescent facility. As the story progresses, Richardson clashes with his Midwestern mother-in-law, who has filed a lawsuit to block living will provisions that would allow the detective to pull the plug on his much-loved but brain-dead spouse. The conflict between Richardson and his wealthy and willful in-law allows Thane to open up the back story of the detective’s happy marriage, and adds a dimension to the lawman that makes him more than a methodical man-hunter. The novelist also does an excellent job of elevating Thompson from passive victim status by giving the reader an opportunity to enter into her thoughts and experience her kidnapping and brutalization against the backdrop of her love for the husband who has been taken away from her in a moment of mindless brutality. Her own fears and anxieties help sustain the suspense of the novel, and Thane allows us to see how she draws on her inner strength to plan and execute revenge, in the process turning herself into a huntress instead of her attacker’s helpless prey. 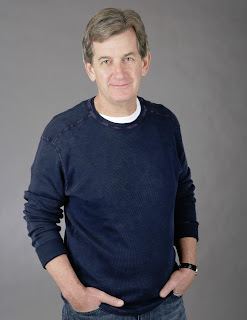 Even McClain, who, as the novel’s villain, could have been a cardboard cutout of evil with just enough personality to spur the plot, is presented as a believable individual capable of recognizing his own faults – though remaining their slave. Although McClain is a calculating killer with a sadistic streak, Thane manages to invest him with enough humanity to make the reader feel a modicum of sympathy for the character. Not that everybody in Thane’s book is a fully realized individual who leaps off the page, however. Richardson’s partner, Maggie McClinton, for example, is presented as a collection of tics – a model minority group member who is phobic about avoiding personal relationships and obsessive about eating healthy foods and working out. As her partner washes down burgers with Coca Cola, she casts a jaundiced eye. Didn’t we see this pairing for the first time in The Odd Couple back in 1965? Maggie’s first partner, on the other hand, an older detective named Chris Doyle, is portrayed as a lazy and inept stock company racist and sexist who goes out of his way to avoid doing any real police work. Doyle has managed to remain on the force long enough to near retirement age despite the fact that he is openly hostile and offensive to women and blacks and a clear candidate for dismissal for creating a hostile work environment. His continued tenure as a cop is barely credible, given his obnoxious personality and lack of productivity, and the character serves little real purpose except as a target for Richardson's wrath late in the story. Thane also occasionally loses track of his characters’ primary personality traits. Maggie is supposed to swear like a longshoreman, and drops the F-bomb fairly consistently in her initial appearances, but she later develops more chaste speech patterns. Richardson, on the other hand, adopts a more sailor-like vocabulary that seems uncharacteristic, given that no reason is offered for the coarsening of his language. Which brings me to a pet peeve: as a big fan of George V. Higgins, I think I understand what Thane has tried to do here by inserting some obscenity in his characters’ dialog: if there is one thing that nearly 40 years of reporting on crime, cops and crooks has taught me, it is that profanity is the lingua franca of underworld denizens and those who deal with them, including prosecutors, police officers, parole agents, probation officers and jailers. Few of these people speak as if they were conducting Sunday services in front of a well-scrubbed audience of parishioners. Still, there is dialog with a smattering of obscenity that builds verisimilitude and then there is dialog with a smattering of obscenity that just . . . well, includes a smattering of obscenity. I have to say here that the occasional four-letter word that Thane puts in the mouth of his characters lacks the ring of authenticity. I think that may in part be due to the fact that everybody expresses themselves pretty much the same in No Place to Die: in complete, grammatically correct sentences. I hardly avoid obscenity in my own fiction, so I'm not opposed to its inclusion, but if it doesn’t work to establish the race, background and socio-economic class of the speaker, it seems to me it is probably better to leave it out. Another minor quibble is the occasional repetitive note one finds in the book. On page six, for example, we find the following rumination by Richardson on why his personality as an investigator has taken a somewhat different turn from the jaded “been there, done that” cynicism one usually finds in fictional cops. “But rather than becoming inured to and hardened by the violence that human beings so casually inflicted on each other, I found myself growing increasingly distressed by the cataclysm of the lives so cruelly and abruptly interrupted,” the detective thinks to himself. Fortunately, these minor faults do not detract from the story, or cause the reader to stumble unduly on the way to its denouement. In fact, if I have any real complaint at all, it is that in the final chapter of the novel Thane ties up all the remaining loose ends a little too tightly, a little too quickly. As good as the rest of No Place to Die was, the ending, while satisfying, seemed a little bit rushed. 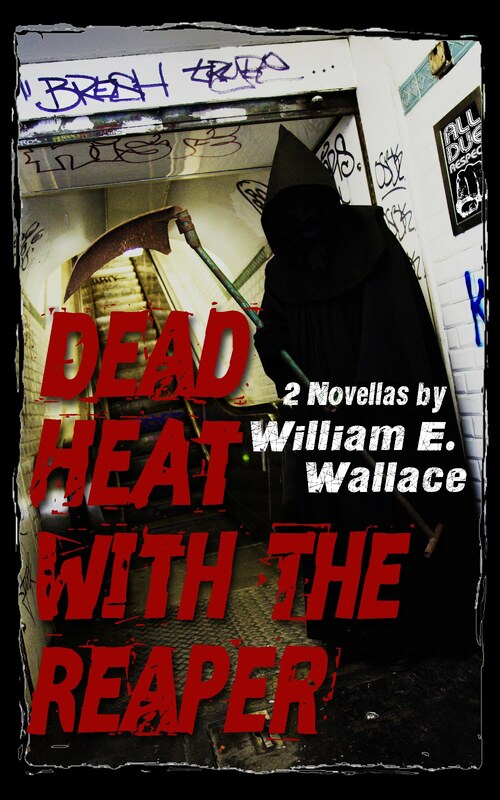 According to his blog, the second in Thane’s series of Richardson/McClintock thrillers, Until Death, was supposed to be published in December but has been delayed. That’s a real shame. Considering how good No Place to Die is, I am looking forward to reading it. I rate this book four nooses. It's well worth checking out.